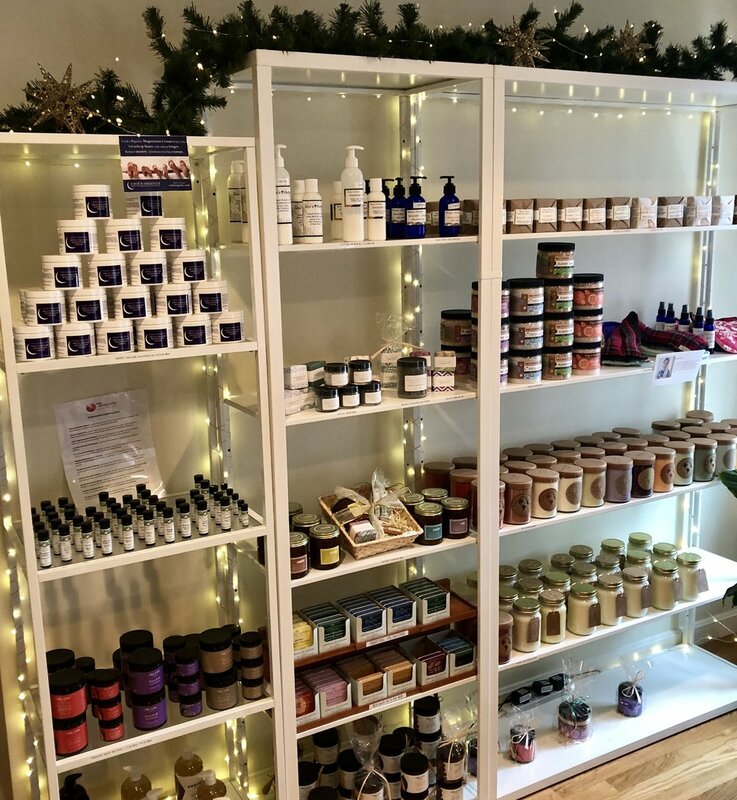 Our Wellness Shop is chock full of carefully curated and organic body care products and wellness gifts. Select from CBD tinctures, CBD salves, CBD bath salts, organic soaps, organic bath soaks, magnesium cream, body scrubs, organic make-up, raw chocolate and MORE. Our Wellness Shop is available online or pop by and see us Monday - Friday 9am - 5pm or Saturday, 9am - 4pm. Extended Holiday Hours Thursday, December 13th + December 20th until 8pm!! !